I Love this bag! 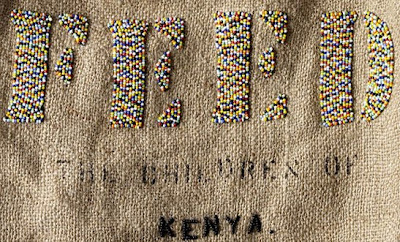 Not only it looks so Eco friendly & organically chic with the raw linen canvas & beautiful hand beaded multi color beads that spells out the word “Feed”, it is also for a great cause! 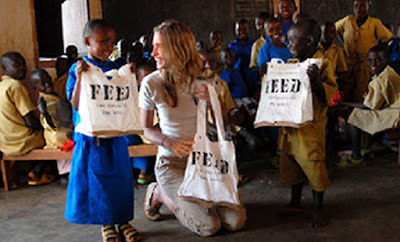 The FEED Kenya bag will help feed 2 children for one whole year for each bag sold. 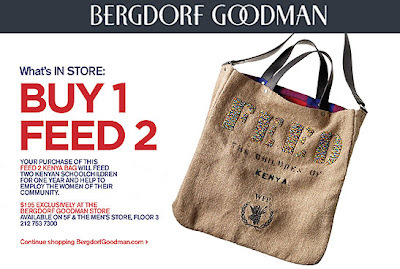 You can order directly from FEED's official online store by clicking here FeedProjects.com or Call my favorite sales person Jesse Kopischke (212) 872-2519 @ Bergdorf Goodman in NYC to order one ! Look fabulous earn good Karma & shop for good cause! what could be more fab that this right? The bag will cost $225 and sold exclusively at the super fabulous Bergdorf Goodman in New York City ( On the 3rd, 5th Floor & The Men’s store, or you can call 212-753-7300 to order one). Each bag sold will be donated to the United Nations World Food Programmed School Feeding operations in Kenya. The FEED Kenya Bag is handcrafted by a coop of women in Kenya featuring colorful beading. The materials may not be worth $225, but think about the profit of this bag is to donate to support the kids in Kenya while also supporting women artisans in Kenya, it’s looking chic and earning good karma at the same time good deal! We’re having it so good here in USA and it’s so sad that over 350 million children go to bed hungry each night. Hunger and malnutrition kill more people than AIDS, Malaria, and Tuberculosis combined. In fact, every five seconds a child dies because he or she is hungry. For a hungry kid, school is often not even an option. With your help of buying this bag then there is hope! When boys and girls are given a free, nutritious meal in school, research has shown that attendance increases by 100% and performance improves greatly. For many kids this is the only meal they will receive all day, and it is enough to empower them to survive, learn, and improve their lives. The FEED Kenya bag has been handcrafted in Kenya by a coop of women. Therefore, not only is your purchase feeding children in school, but you are also supporting women artisans in Kenya. Thank you for supporting FEED Projects and the United Nations World Food Program in the fight to end child hunger! We hope you enjoy your handcrafted FEED Kenya bag which is created in Kenya to benefit Kenyans. You have provided two full bellies, supported education, and brighter futures for two hungry children. 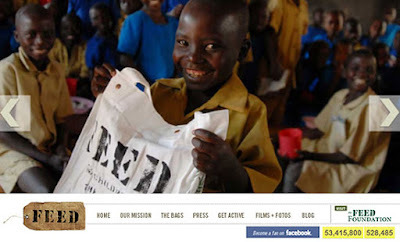 There are many other fabulous FEED bags at their official website, don't forget to check it out and help with the cause! Look fabulous earn good Karma & shop for good cause! what could be more fab that this right?